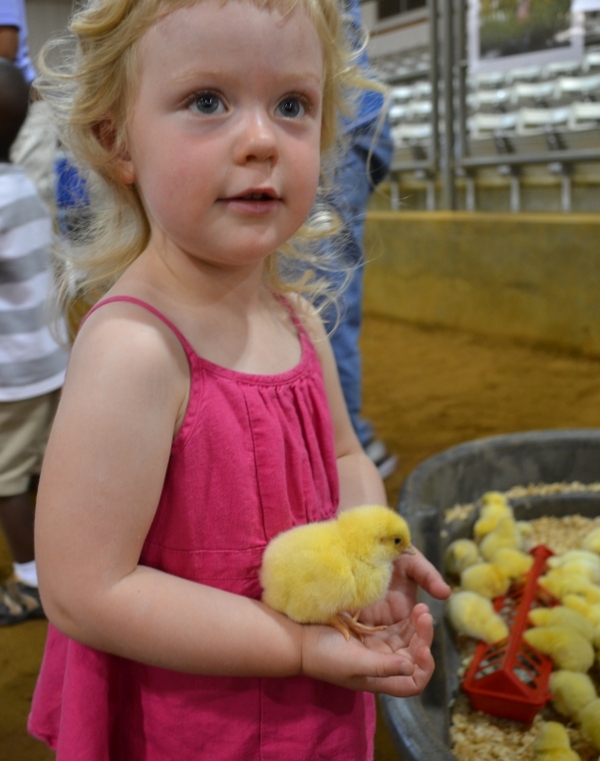 Our university’s Division of Agriculture and the Cooperative Extension Service join up each year to put on a program called Farm Friends, which allows “city” kids to see and touch farm animals they might not otherwise get close access to. This is the first year we went, with the Bit’s friends from school, and I have to say it was a lot of fun. The 4-H kids got to show off their animals, and you know I’m a sucker for 4-H kids (given that I was one, though I never raised any animals). 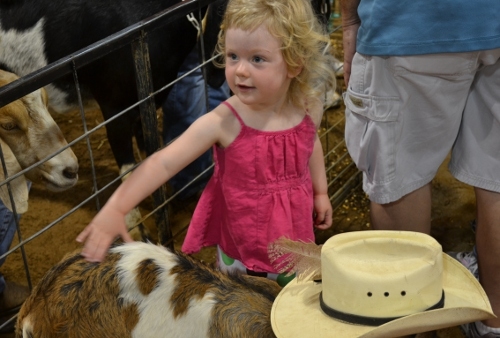 Yes, the baby goat is wearing a cowboy hat. The Bit took her camera, too; we'll have to see what she got pictures of! 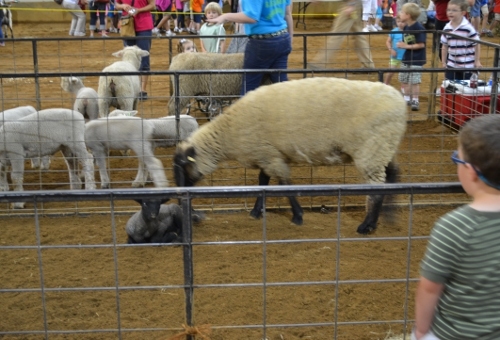 One of the Bit's friends checks out the sheep. 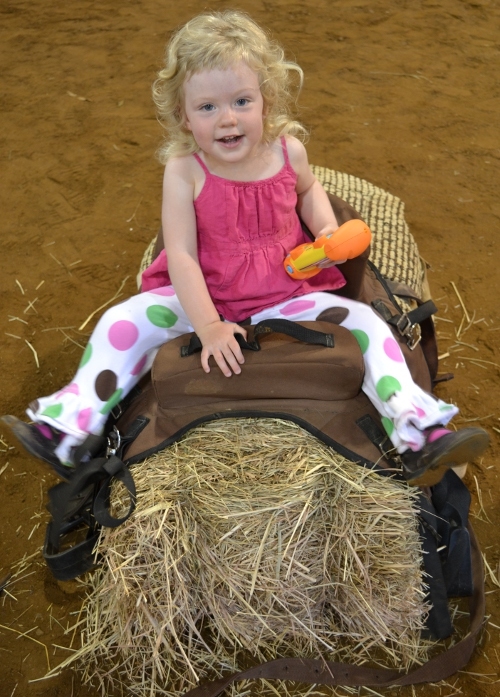 She loved the saddles and went back to them a couple of times. 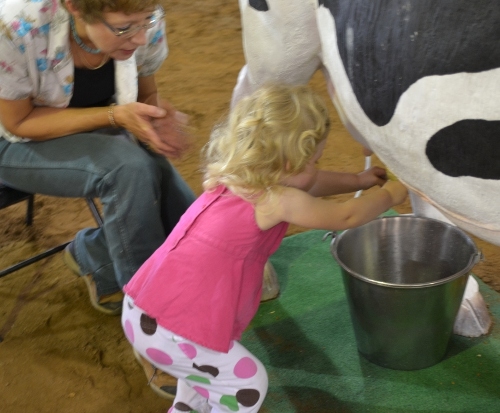 I don't think she actually got any "milk." Best of all, there were chicks. Lots of chicks. The Bit loved the chicks. I cannot stand the cuteness. 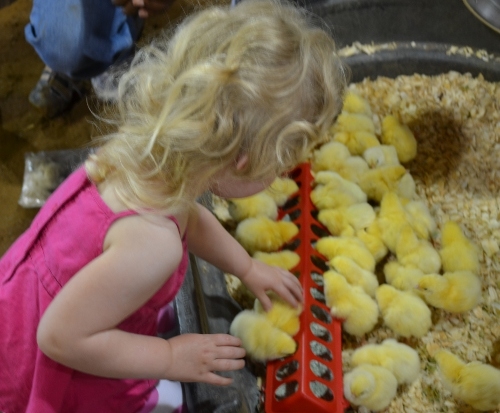 She would have played with the chicks all day. She did pick one up by the neck, but otherwise she was very gentle and sweet to them. 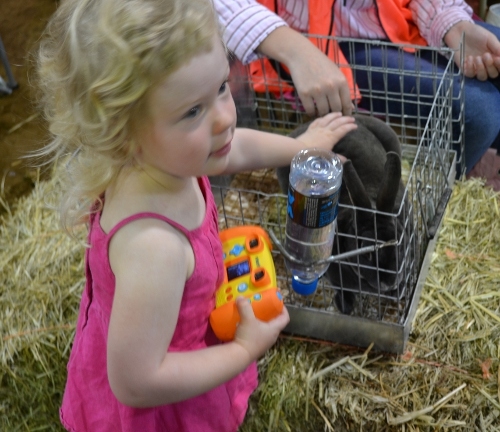 I don’t know if you have a program like Farm Friends near you, but if you have a chance to get your kids around animals, particularly little ones they can interact with, do it! It’s fun for everyone involved.